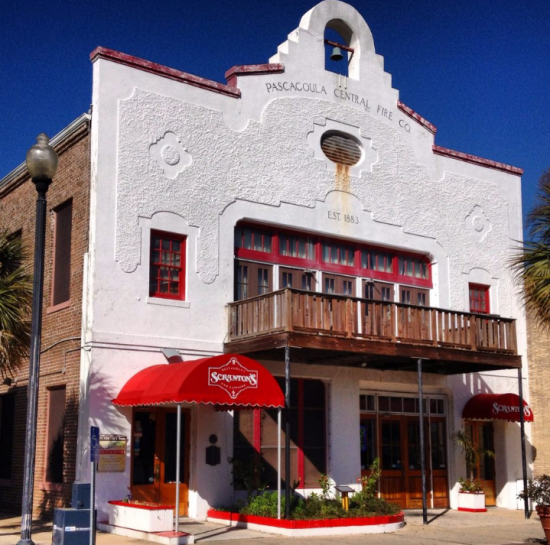 Pascagoula is small city with big history, nestled in the eastern corner of the Mississippi Gulf Coast. At shrimp sign 70, you will find yourself in the heart of the city surrounded by shops and restaurants. Here are my top three favorite things to do when spending a day strolling through downtown Pascagoula. Scranton’s — Scranton’s is home to delicious Southern comfort food. Whether you’re looking for shrimp & grits, Gulf seafood, or southern BBQ, you can find it at Scranton’s. This unique 1920s building in historic downtown Pascagoula was once the town’s firehouse and city hall. The restaurant encourages guests to explore the its past, with original pieces of the building still displayed and historic photos covering the walls. Anchor Square — If you love to support local businesses, you have to check out Anchor Square. This cluster of shops is home to a variety of small business owners selling home décor, children’s accessories, sweet treats, smoothies and more. 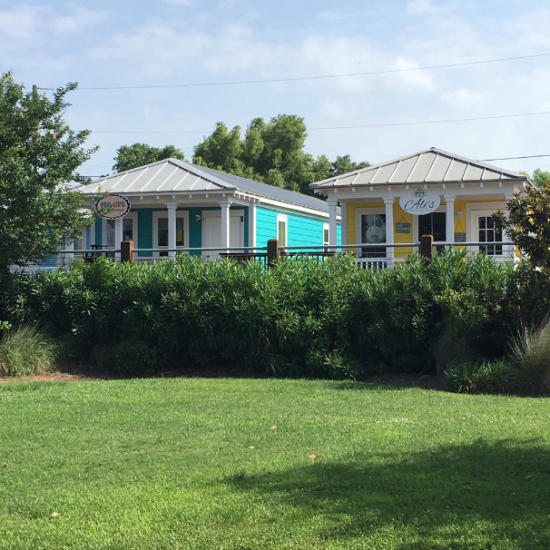 The colorful cottages are surrounded by a boardwalk and town green, offering a great place to relax after all of your shopping! Jacks by the Tracks — This restaurant/live music venue puts a South Mississippi twist on sushi, and it’s delicious! 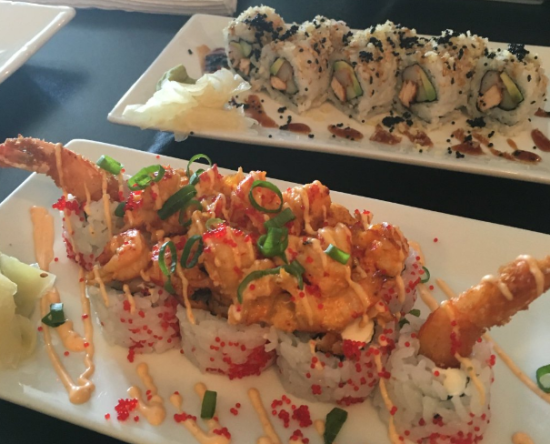 While offering traditional rolls, Jacks by the Tracks specializes in cooked sushi rolls filled with fresh ingredients caught off of the Mississippi Coast, including Gulf shrimp, crabs and fish. Not a huge sushi fan? No problem, this eclectic spot has a hefty menu stacked with additional items including tapas, tacos and po’boys. Want to explore more of downtown Pascagoula? Check out what else you can see and do at shrimp sign 70.